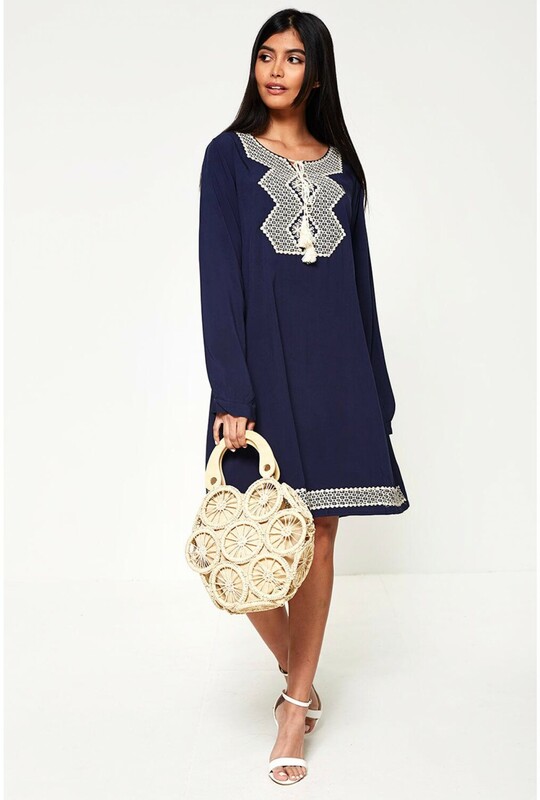 A tunic dress is always a reliable piece for the summer season. 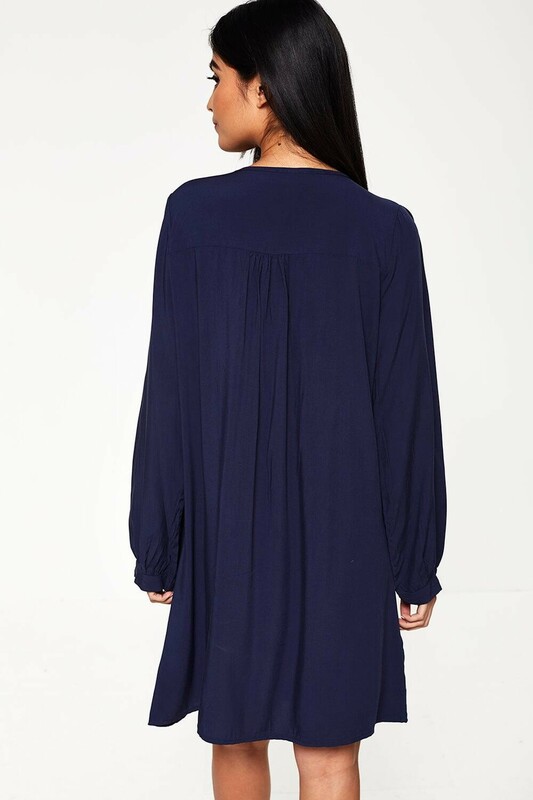 This long sleeve lightweight navy dress is perfect for day-to-night. Team with sandals or espadrille wedges for an evening look.